The classic mantra could be boiled down to less is more—even when the most adventurous clothes are in question. Think of Carine Roitfeld in a daring see-through gown: Her hair and eyeliner will be mussed-up, and she'll be wearing the same stilettos she's had on all day. No tricky styling tweaks. No excess of accessories. No fussy additions to get in her way of having a moment de plaisir. 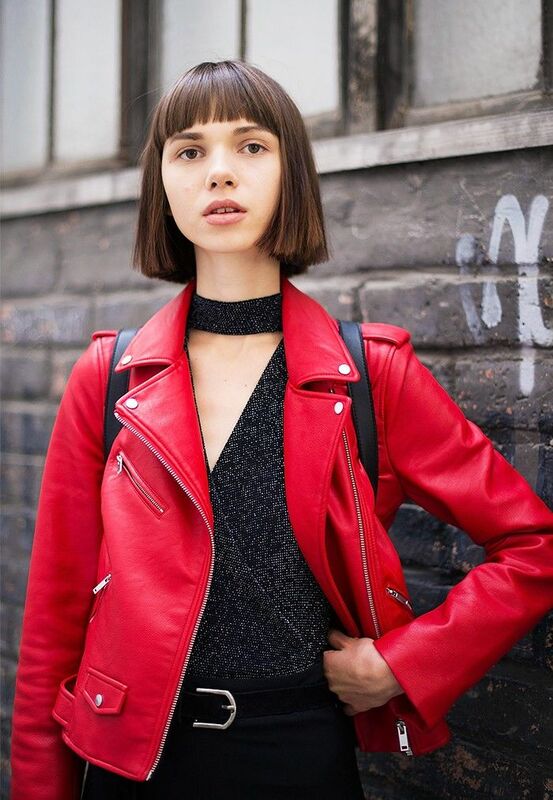 Check out the burgeoning trend for all things red leather. Topshop have a great selection of scarves so you can get knotting ASAP. We love leopard-print coats so much, we dedicated an entire shopping story to them. See how to make your all-black summer wardrobe work harder. Want more? Then check out Milan's most jaw-dropping street style looks.